Who Was William F. Buckley and Why is He Important Today? From Walter Cronkite to Bill O’Reilly: What Happened? Can Nixon Help Us Understand Trump? Video: Hoover Institute - Open to Debate. Video: Wall Street Journal - Heather Hendershot. Heather Hendershot is a professor of film and media in MIT’s Comparative Media Studies/Writing program. Hendershot is the author of What’s Fair on the Air? : Cold War Right-Wing Broadcasting and the Public Interest, Shaking the World for Jesus: Media and Conservative Evangelical Culture, Saturday Morning Censors: Television Regulation before the V-Chip, and most recently Open to Debate: How William F. Buckley Put Liberal America on the Firing Line (Broadside Books). 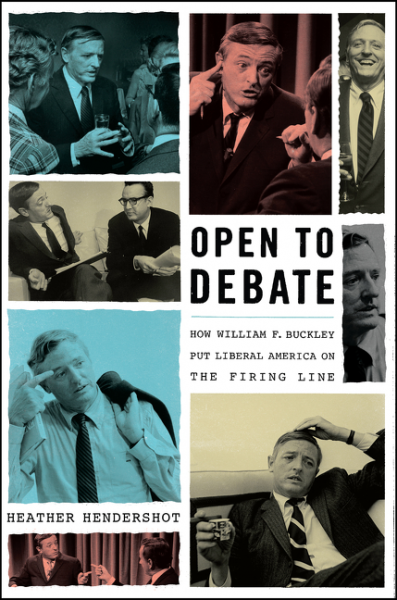 Open to Debate is a unique and compelling portrait of William F. Buckley. The champion of conservative ideas in an age of liberal dominance, Buckley took on the smartest adversaries he could find while singlehandedly reinventing the role of public intellectual in the network television era. Drawing on archival material, interviews, and transcripts, Open to Debate provides a richly detailed portrait of this widely respected ideological warrior, showing him in action as never before. Much more than just the story of a television show, Hendershot’s book provides a history of American public intellectual life from the 1960s through the 1980s—one of the most contentious eras in our history—and shows how Buckley led the way in drawing America to conservatism during those years. As a media historian, Hendershot uses the past to help audiences—of every political persuasion— to understand the present. Her presentations appeal to all types of audiences, including those at universities, historical societies, libraries, and cultural and political organizations. Hendershot has also edited the anthology Nickelodeon Nation: The History, Politics, and Economics of America’s Only Channel for Kids, and she is a former editor of Cinema Journal, the official publication of the Society for Cinema and Media Studies. 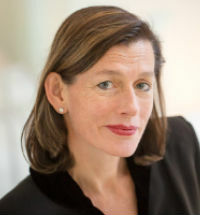 Hendershot received her BA from Yale University and her MA and PhD from the University of Rochester. She has held fellowships at Harvard University, Princeton University, New York University, and Vassar College, and she has also been a Guggenheim Fellow. She lives in Cambridge, Massachusetts.